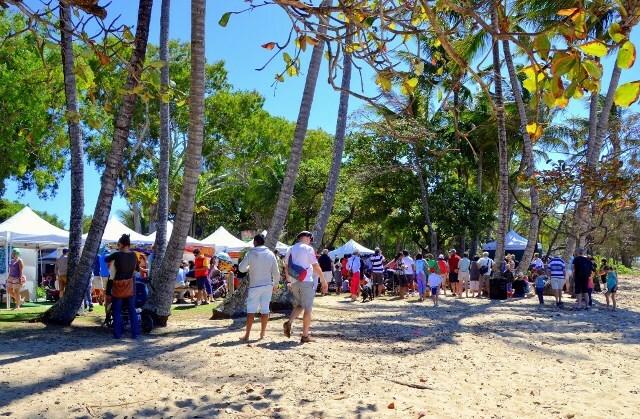 Reef Feast – The Best of Palm Cove, is a 3 day food event showcasing the local produce at its peak, and is in the hands of some of Tropical North Queensland’s most creative and imaginative chefs. This year will be bigger, brighter and better than ever, with restaurants and cafes offering tastes to tempt the most discerning palates. From Friday 25th October to Sunday 27th award winning restaurants will tempt you with special dishes with some providing entertainment. Marques offering mouth-watering delights will line the Esplanade on the main day where visitors are spoiled for choice with things to do in Palm Cove and can stroll amongst the ancient Melaleuca trees of Palm Cove’s famous, palm fringed, sandy beach and enjoy the sights, sounds, and flavours of this exciting family event. This showcase of our region and its lush tropical bounty is spread over three days and is a must for the whole family. Experience exclusive wine and produce dinners, cooking demonstrations, live music, food seminars and a family market day teaming with an incredible array of divine food stalls. Accommodation is filling fast so don’t delay in contacting us!